You’ll Never Clean The Inside Of Your Ears Again After You Read This! Is part of your shower routine swabbing out your ears? It may not be the best idea. Simply put: ears aren’t intended for cleaning. Your ears have their own hygienic process, and by putting foreign objects in your ear and “cleaning” them out, you’re disrupting your body’s natural process. You can even potentially injure yourself! 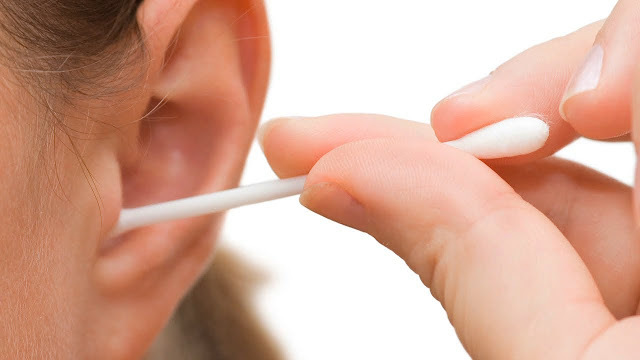 When you swab your ears after a shower, you remove cerumen, otherwise known as earwax. Cerumen is a healthy feature of the inside of your ears. It’s protective and antibacterial. It originates near your ear drum and slowly pushes its way out, becoming dry and then simply falling out. This is the normal process of ear maintenance. What happens when you use cotton swabs? When you swab out your ears, you push wax deeper into the ear where it doesn’t naturally go. This can cause it to get stuck and bock up the ear drum, causing potential medical complications. It also pushes fungus and bacteria from the outer ear into the inner ear which can cause infections among other complications. Your ears should never have to be cleaned. According to Dr. Douglas Backous, the director of hearing and skull base surgery at the Swedish Neuroscience Institute in Seattle, when you rub the skin in your ears often, histamine gets released. That causes your skin to become irritated. The more you rub, the more irritated it becomes. If yo feel like you have too much ear wax or your ears are exceptionally dirty, it may be time to go to your doctor. Your physician may recommend doing a cleaning. Don’t try to do it yourself! You’re experiencing loss of hearing. Your ears have a foul odor. There’s a discharge coming from your ears. Bottom line: it’s probably time to stop swabbing your ears. STOP THE YULIN DOG MEAT EATING FESTIVAL..
Amazing Health Secrets in Your Toes..
10 Amazing Things That Happen After You DIE..